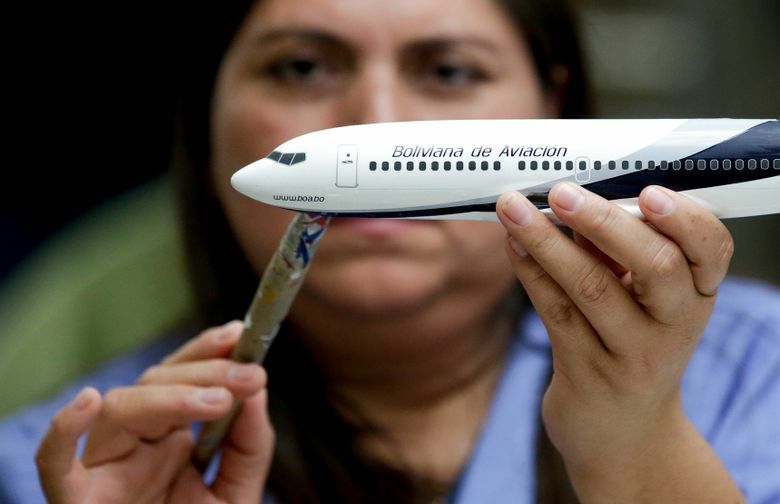 All over the world airline executives engage in a greeting that is all their own: the exchange of model airplanes. 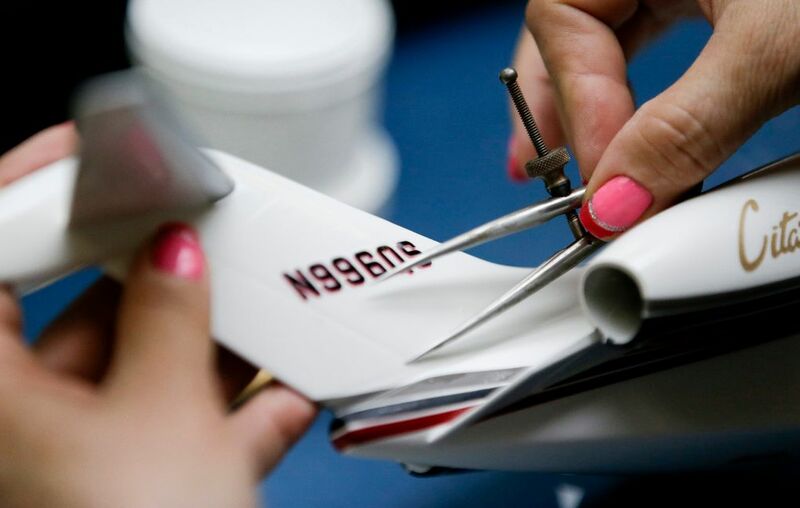 More than 15,000 model airplanes are made a year by California-based Pacific Miniatures, started by two workers from Douglas Aircraft. In America, businessmen shake hands. In Japan, they bow. But all over the world, airline executives engage in a greeting all their own: the exchange of model airplanes. While a business card might be quickly stuffed away in some desk drawer, models remain prominently displayed on the desk of politicians and industry power brokers. Puerto Rico’s governor, Alejandro García-Padilla, has models from JetBlue, Lufthansa, Avianca and local airline Seaborne in his office. Each has established or expanded service to the island since his 2013 inauguration. “It’s one of these gifts that people get and don’t put in the closet,” says Jeff Knittel, who oversees aircraft leasing for financier CIT Group. Airbus took in 1,456 passenger-jet orders from 67 airlines around the world last year. 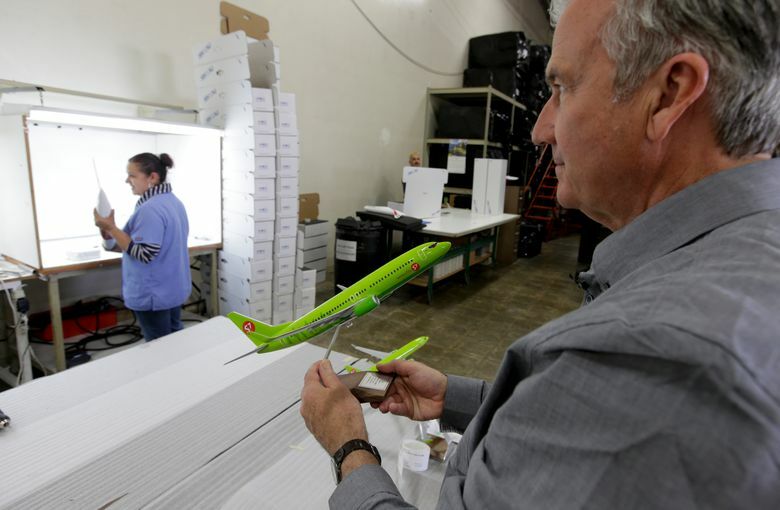 It also placed 30,000 of its own orders — for model Airbus jets. Multimillion-dollar plane purchases are decided on the fuel efficiency of a jet, its maintenance costs, how much cargo it holds and how far it can fly. However, desktop models help start the conversation, says Chris Jones, vice president of North American sales for Airbus. 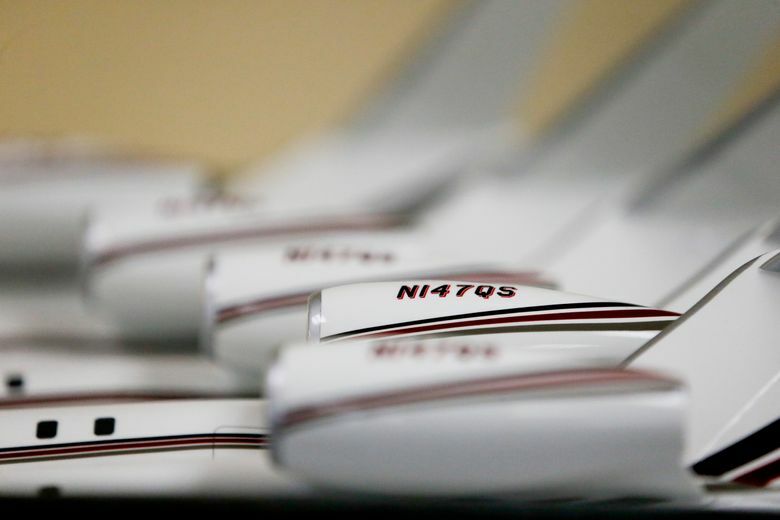 The tradition of exchanging model planes has been around for decades. Walk through the headquarters of any airline and rows of models — including those of competitors — can be seen. Gerry Laderman, senior vice president of finance and procurement at United Airlines, has collected his fair share after 30 years in the business. There’s no room left in his Chicago office, so new acquisitions are displayed on the hallway windowsill. 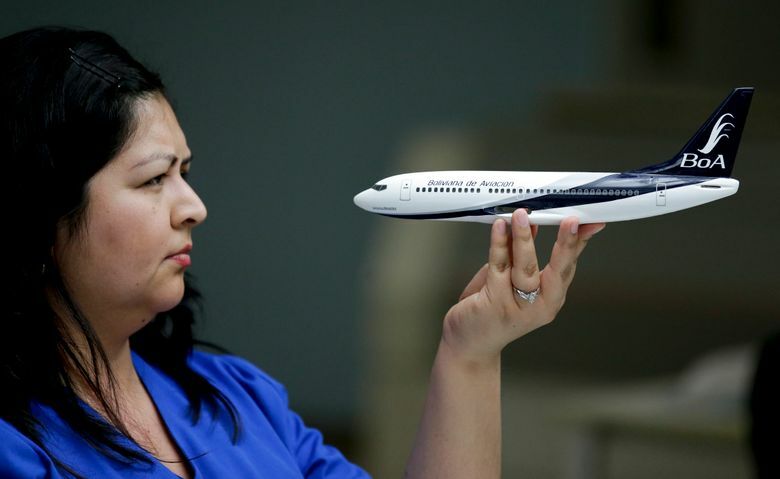 Model planes have their roots with aerospace engineers, who used them in an age before computers to design planes, then test them in wind tunnels. Then in 1946, two workers from Douglas Aircraft started Pacific Miniatures with the encouragement of the aircraft manufacturer. It was right after World War II, and Douglas faced a major challenge in getting nervous travelers to fly. “They were tasked with promoting the romance and luxury of air travel,” says Fred Ouweleen Jr., current owner of the company affectionately known as PacMin. The company, based in Fullerton, Calif., created large cutaway models that showed aircraft interiors to a public that had — for the most part — never stepped foot on a plane. Those models would become a mainstay of travel agencies for decades. Soon there was demand for smaller models that could fit on people’s desks and bookshelves. Today it is those models, scaled to one- hundredth of the size of a jet, that PacMin is best known for. 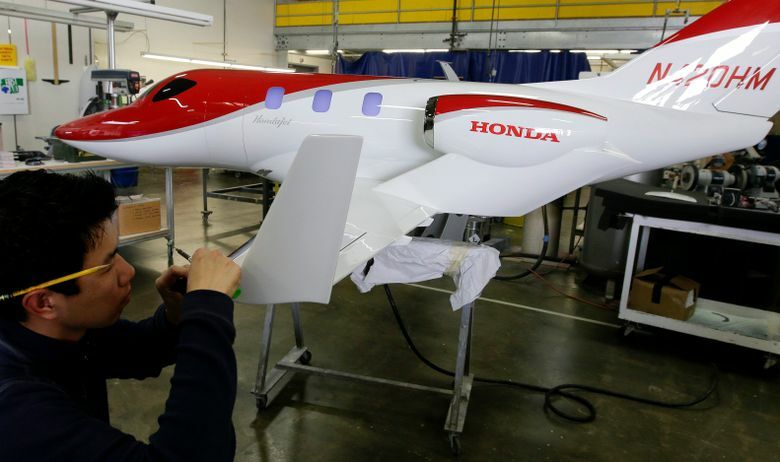 The company focuses on the details — tiny instruments are used to apply decals by hand to each model. “In the case of a fire, I think those would be the first things grabbed and taken out of the building,” Ouweleen says. PacMin produces the planes for more than 4,000 customers around the world with the typical order just being a handful of planes. “A large order for us is 100,” Ouweleen says. Still, more than 15,000 models are sold a year ranging from $130 to $1,500 each, depending on the size, speed and difficulty of the order. Privately held PacMin employs 165 people and sees $10 million in annual sales. Members of the public generally can’t buy PacMin models, although plenty end up on eBay, with sellers asking $200 to $400. Mark Jung, a former airline worker, estimates he has spent $45,000 buying model planes over the past 45 years. He now has more than 1,000. A few are PacMin’s but many are more-affordable models made by competitor Gemini. JetBlue CEO Robin Hayes has 15 models in his office and dozens more on nearby shelves. They include an Airbus A330 that a sales representative for the aircraft maker once gave him. That particular jet isn’t in JetBlue’s fleet — yet — but the model remains in his office.